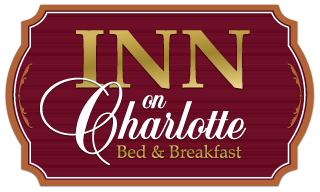 Many attractions, activities, and recreation options are near the Inn on Charlotte Bed & Breakfast. Read on below and find many things to do while you enjoy your visit at the Inn on Charlotte Bed & Breakfast. The Colonial Spanish Quarter is a living history museum complete with period city dwellers who act out what life was like for the early Spanish soldiers and settlers to St. Augustine. The Inn on Charlotte, our gorgeous St. Augustine Bed and Breakfast, is located right in the heart of the Old City and is very close to the Colonial Spanish Quarter. Take a tour through the quarters and watch the actors as they cook, garden, tend to their livestock, and work at their different crafts. Vacationers enjoy taking a tour of the Spanish Quarter and can learn a great deal about St. Augustine’s extraordinary history. The Colonial Spanish Quarter is open each day from 9 a.m. to 5:30 p.m. except for major holidays. When visiting St. Augustine for a fun filled vacation you’ll want to take a tour of this phenomenal location. Browse the rooms in our historic Bed and Breakfast in St. Augustine and come and stay with us today! Constructed in the late 1600s by the Spanish, the Castillo de San Marcos protected the Spanish colony of St. Augustine from outside attacks until the British took over control in 1763. The Spanish received the fort back, however, less than twenty years later under the Second Treaty of Paris. In 1900 the Castillo de San Marcos was taken off of active duty, and in 1924 it was recognized as a national monument. Today, vacationers to the Old City can tour the historic fort and learn more about the different wars and conflicts that took place around it. 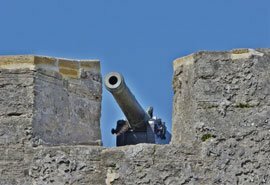 Located just near Anastasia Island in downtown St. Augustine, the Castillo de San Marcos is very close to our St. Augustine Bed and Breakfast. We have several vacation packages and offer affordable, cozy St. Augustine Lodging for your next getaway to the Old City. Contact us today. This monument consists of the fort, 100 acres of marsh, and barrier islands all along the Matanzas River on the Atlantic Coast of Florida. Located just a short distance away from our Bed and Breakfast in St. Augustine, this historical attraction is a wonderful spot to visit while in the area. The area of the Matanzas inlet was the scene of several important events in Spanish colonial history. In 1565, the massacre of French soldiers took place, which was Spain’s opening move in establishing a colony in Florida. Spain’s last effort to ward off the British was the construction of Fort Matanzas in 1740-1742. In 1819 the United States took control of Florida, and the fort in St. Augustine was no longer used, causing it to quickly become a ruin. Restoration of this now popular St. Augustine attraction began in 1916 and by 1924 the National Monument status was proclaimed. Under the park service, Fort Matanzas was placed on the National Register of Historic Places on October 15, 1966. 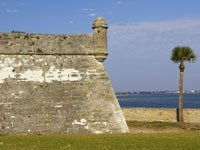 Fort Matanzas is only accessible by guided boat tours. This National Monument in St. Augustine Florida is open every day of the year except for December 25. At the Fort Matanzas National Monument, a ferry service leaves from the dock behind the visitor center every hour at half past the hour between 9:30 am and 4:30 pm. This free guided tour lasts approximately 45-50 minutes. 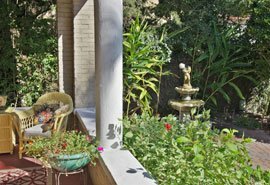 Our St. Augustine Bed and Breakfast in located right in the heart of all of the fun things to do in St. Augustine. Book your trip today and enjoy an unforgettable St. Augustine Vacation.